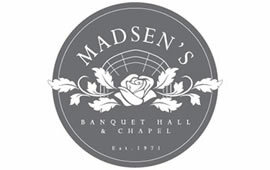 Madsen’s greenhouse Banquet and chapel is uniquely landscaped as a tropical paradise available all year. At night miniature lights illuminate the ceiling as well some of the trees, to make for romantic mood lighting. When Madsen’s approached MediaTown their website was facing many challenges and was in dire need of a redesign. After completing a website analysis, MediaTown constructed a website that was easy to navigate and customize and had a clean design.